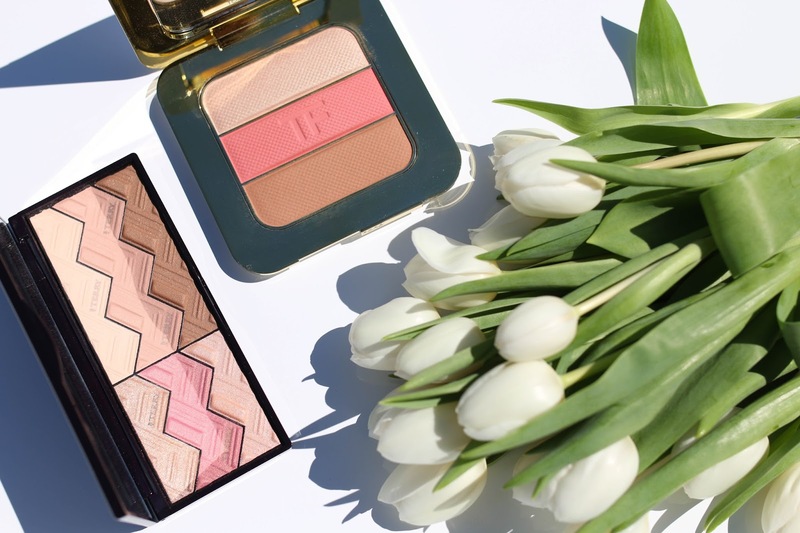 Luxury bronzing palettes are having a moment right now. 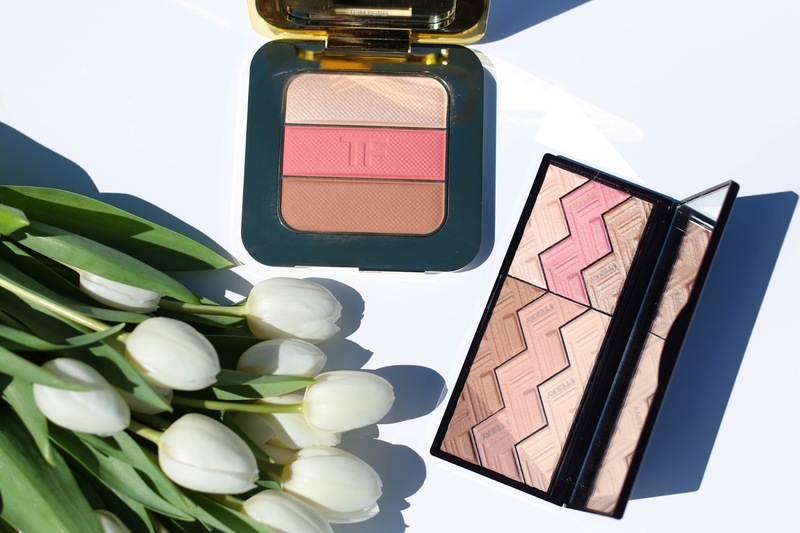 These two launched by Tom Ford and By Terry are two of the most beautiful palettes I have seen in a long time. And not just from an initial packaging or design standpoint, but from the shades and wearability of the formulas in the palette. They are both stunning but do differ quite significantly so hopefully this review will help you determine which one may be more suitable for what you need. Or you could throw all caution to the wind like myself and buy both because #beautyaddictbehavior. 1. Tom Ford Contouring Compact - I have the Tom Ford eye and cheek palette from last summer which I initially thought was quite wearable. However, when I compare that one to this new Contouring palette, it's clear this year's was the better investment. Since I have oily skin, I find myself reaching for this more than the By Terry because while the TF has some shimmer, it is manageable enough that I don't have to wear a matte foundation underneath. The bronzer looks dark for my skin, however applying it with a larger blush brush lightly under my cheekbones for a slight contour is perfect. I add the pink shade to the apples of my cheeks for a bright flush and then the highlight to the tops of my cheekbones. On a scale of minimal to Instagram makeup diva, this highlighter falls more towards the minimal end of the spectrum which allows me to wear it everyday. I am so happy with this palette and know that I will get a ton of use out of it over time. 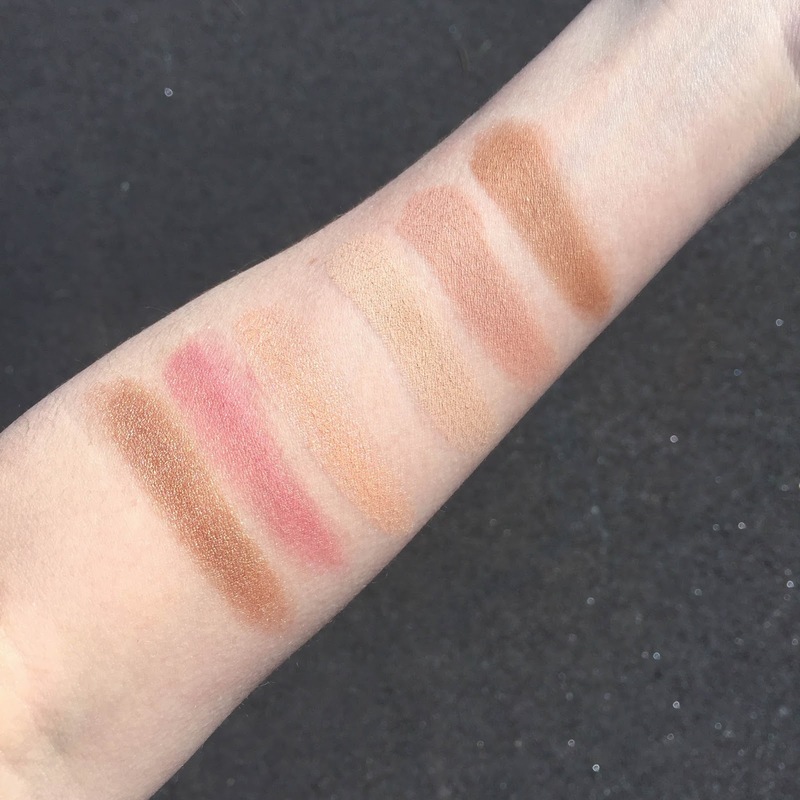 However, the shades in the palette are similar (though not an exact match) to existing colors in his line, so for that reason I feel this one could be a bit redundant if you own a ton of Tom Ford makeup, especially his bronzers, blushes and highlighters. Nonetheless I find it handy to have all three in one easy compact, and I'm a packaging fanatic so that alone makes it justifiable to me. 2. By Terry Sun Designer Palette - From initial comparison, By Terry does win in the palette aesthetic arena against the Tom Ford. The wavy lines and multiple color options are simply stunning. 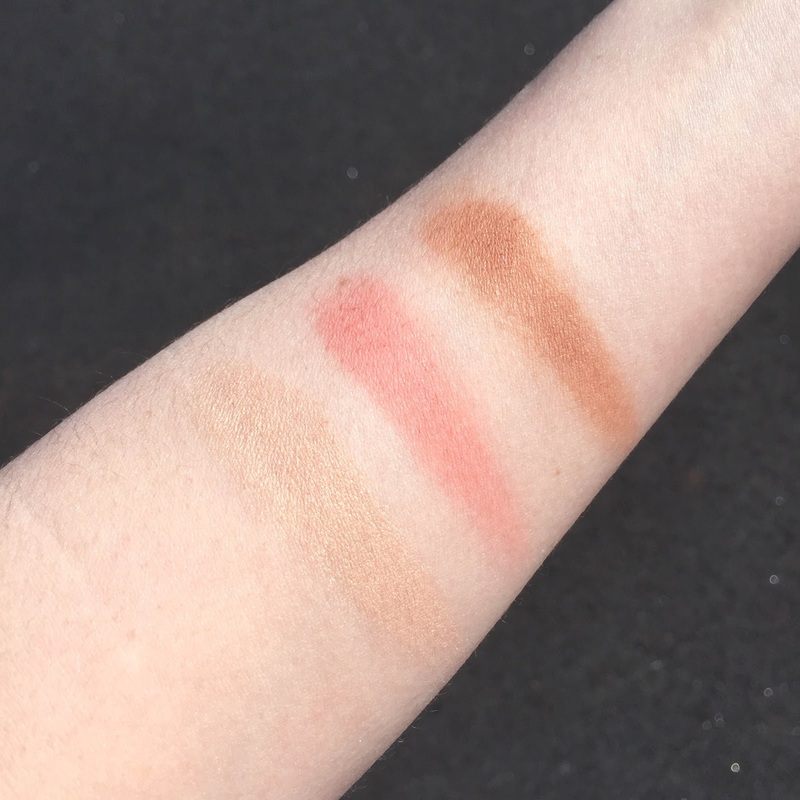 I chose the more neutral version of the Sun Designer Palettes and am so happy with it. While the color range is much more suited to shades I wear regularly, the shimmer in them makes wearing a matte foundation or matte base a necessity when using this palette because of my oily skin. The paler side of the palette is what I use to warm up my face initially, running my brush over all three shades and then buffing it onto my cheeks. There is a bit of powder that kicks up with each swipe, but it doesn't bother me. Next I add the bolder pink color to the apples of my cheeks to give them a gorgeous flush. I only add the highlighter and/or deep bronzer shade for evening or if I did not add too much of the paler side, simply because it can be too much color and shimmer for my face. When this palette first arrived, I felt compelled to use all 6 shades each time I would do my makeup (don't ask me why - my beauty behaviors rarely have reasons), but soon realized that was too much color/powder/product for my face. Now I pick and choose which colors I want to use each day, and find that I love the palette much more. I truly have nothing like this in my collection and feel I will get a great deal of use out of it. Did you pick either of these palettes up? What are your thoughts? Stay tuned for upcoming tutorials with both so you can see exactly how I use them! Also, I will have a foundation review video coming soon featuring this one that has absolutely blown my mind recently! I was seriously contemplating the By Terry but i ended up picking up the Tom Ford in the VIB Rouge sale so that was a win. I've only used it once so far but I love it. The blush and highlight are just stunning. Both of these palette are pretty, but I have to agree with you: The By Terry one truly is gorgeous! And I believe the Tom Ford bronzer would be too dark for me as well!